Here's an interesting local story with national implications. 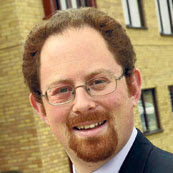 Cambridge MP, LibDem Julian Huppert (pictured), won a ballot to introduce a private member's bill in the House of Commons and he elected to ask his constituents for some ideas. Top of the poll was the suggestion that we should stop converting disused pubs into flats. But there was a second leg to the bill as well which would stop existing premises being turned into supermarkets. Now these issues have resonance in Cambridge because we have lost 20 pubs in recent years - all having made way for flats. And we have gained dozens of supermarkets, Tesco Expresses in particular, which have done for lots of independent shops. It's a process that is going on all over the land but in Cambridge it seems to be on steroids. The issue is, of course, the clone town, which everybody and their aunt hates, but which planning has no issue with. But underlying this is a wider issue which rarely gets an airing and that is the right of an owner to do what they wish with their property. If their pub doesn't stack up financially, why shouldn't the landlord be able to sell it to a developer? If a shop or warehouse is losing money, surely the owner should be able to sell it on to the highest bidder? If Huppert's bill was to become law — apparently this is most unlikely — then it would become the thin end of the wedge and the next thing would be neighbours demanding a veto over who you can sell your house to. Strip it away still further and you can see the essential dilemma that underlies all issues to do with planning permission. What does "ownership of property" really entail? Or, to put it another way, how much control should your neighbours have over what you can or cannot do with your own land or property? I would say that our attitudes are now thoroughly inconsistent. Everybody pays lip service to doing away with red tape and making planning permission easier, quicker and simpler to obtain — it's easy to back such notions when they have no direct effect on you. But nobody likes it when a much loved neighbourhood changes, when a once loved pub turns into yet more student accommodation or a little used snooker hall is scheduled to transform into a chain supermarket. Or a neighbour builds a sodding great extension blocking out the light. Or a village is scheduled to become home to a windfarm. Yes, in instances like this, we are nearly all NIMBYs, we sign petitions, we lobby MPs. Which is how Julian Huppert no doubt got the idea of introducing this bill. But has he thought it through at a philosophical level? His bill may be democratic, but it's hardly liberal.